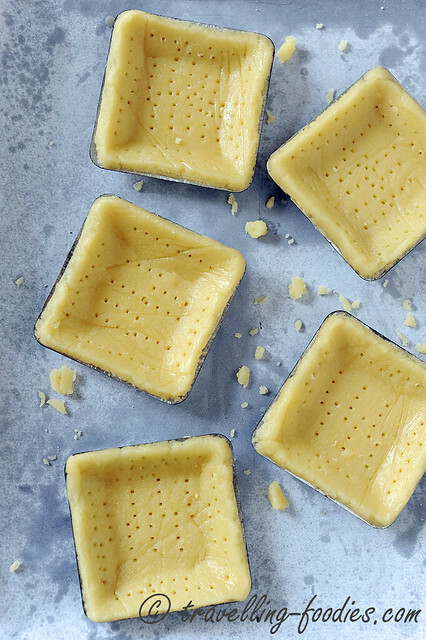 Pate sucree is a standard shortcrust pastry which must be one of those things one who is interested in French pastry techniques should learn some point in time. Sugino’s recipe uses quite a high liquid ratio making the tart dough slightly more challenging to work with. The results are however very rewarding, from the aromatic and uber crisp shells. The rolled out pastry dough has to be docked to prevent shrinkage after baking. Another important thing about tart shell baking, is to make sure that the dough is not worked for too long, a possible factor which results in dough shrinkage during baking as well. Creme frangipane is made from two components, creme patissiere and creme d’amandes. Like tart pastry making, the frangipane almond cream is also a classic component in French dessert making. 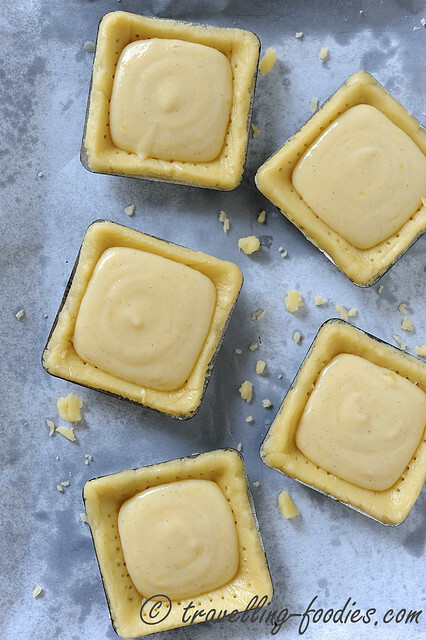 The important skill here is the tempering of the egg yolks and flour mixture with the hot milk to prevent the yolks from curdling the pastry cream. Otherwise, it is quite straightforward to make. 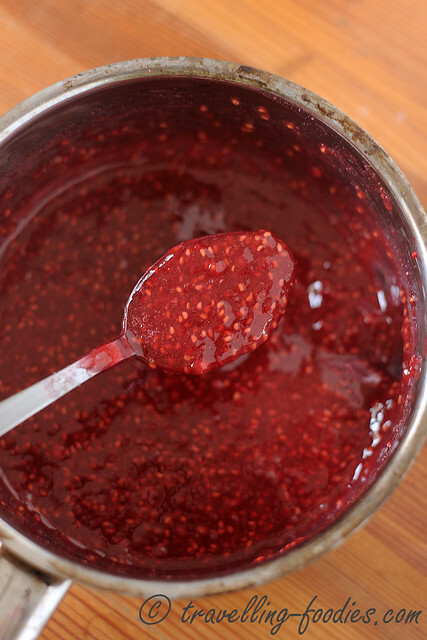 Framboise pepins is a quick to make raspberry jam which is thickened with pectin. Glucose is added for sweetness and also preventing the recrystallisation of sugar. The important thing to note is how pectin is added into the boiling raspberry mixture so that it doesn’t clump altogether from the heat. The frangipane tart base is quickly applied with a layer of kirsch and syrup B mixture after being poked thoroughly with a skewer. This allows the sweet kirsch mixture to be absorbed more readily. Framboise pepins is then generously applied over the top, which lends the tart one of its key flavours. The top of the tart is piped with a small molehill of creme chantilly, essentially whipping cream spiked with a good amount of icing sugar to stabilise the cream mixture. I’d added a bit of gelatine into the cream so that it can tolerate our weather a tad longer. The important skill here is to hand whip the cream mixture so that it produces nice smooth stiff peaks while making sure that one doesn’t over whip the cream which may cause it to split. After that, the thinly sliced fresh figs are carefully arranged around the tall dollop of creme chantilly. 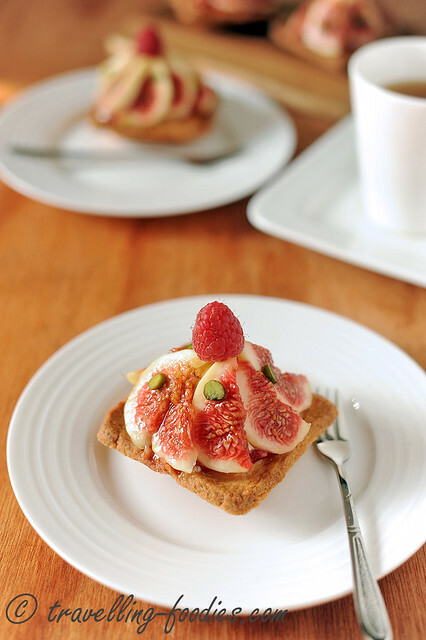 The most nerve wrecking part in the making of this tart has to be the slicing of the fresh figs. 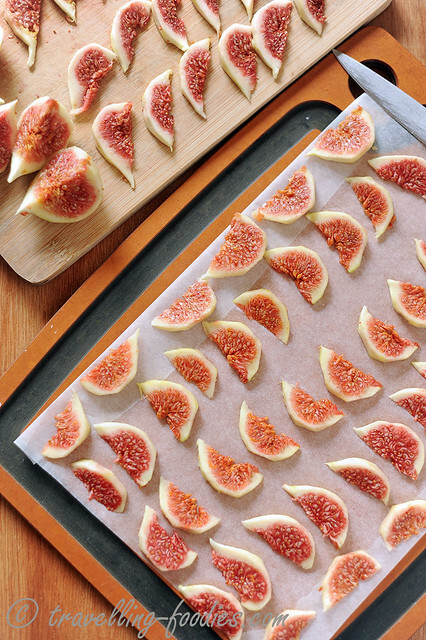 Each fig has selected before being carefully peeled, and then halved, quartered, demi-quartered and finally halved again to yield a total of 16 thin slices per fig. 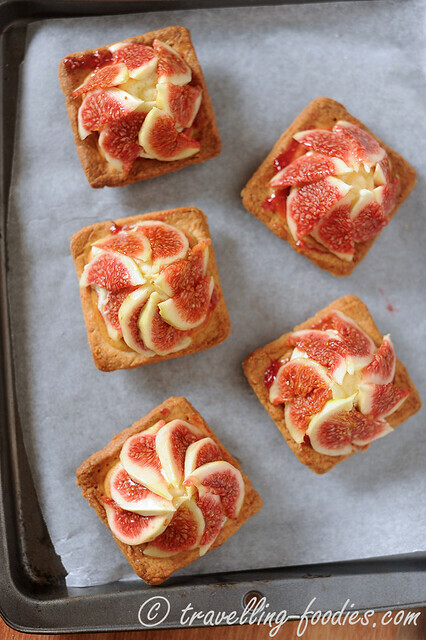 Use the freshest figs possible, when the skins are still taut and the fruits firm. Soft and mushy figs are a big no no here as they won’t hold their shape properly, not to mention the trauma one has to go through slicing them. My working order for the figs are slightly different from Sugino-san’s. I peeled the figs whole first before slicing them while he does it the other way round, whichever way that works! 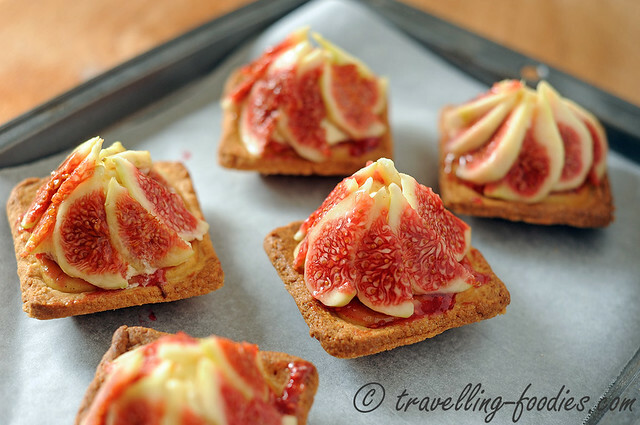 Once the fig slices are beautifully laid, the tartlets are into their final steps of their making. 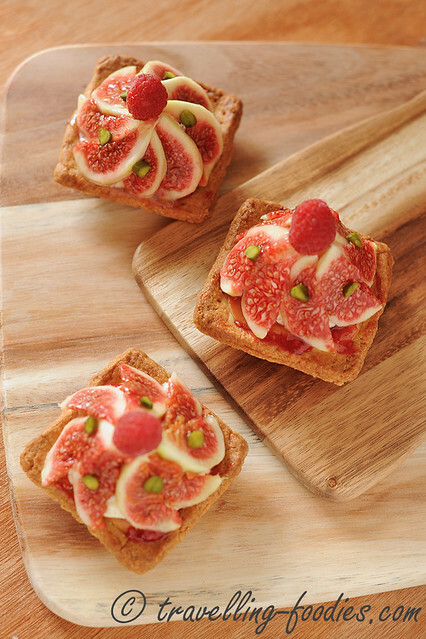 All that is left is to give the fig slices a good brushing of apricot glaze spiked with kirsch and topping the apex with a fresh raspberry and a good sprinkling of sliced sicilian pistachios which are uber green and hence so pretty! Voila! 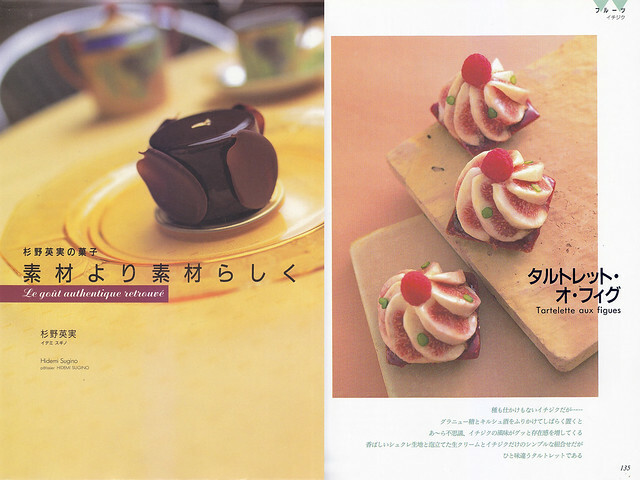 The revision of Hidemi Sugino’s Tartelette aux Figues once again. Until we see good figs again next year perhaps. No recipes from Sugino-san’s book as I don’t wanna get into trouble with the publishers as another blogger did. But various components can be found within my blog. 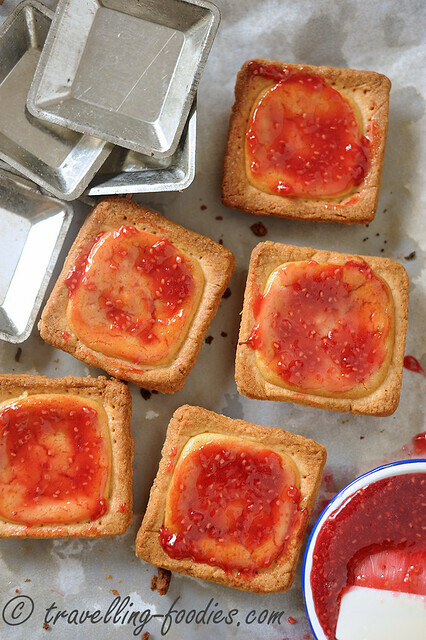 For those attempting to make these, you should have a reasonable foundation in basic tart-making techniques first before trying out. Good luck! This entry was posted on October 16, 2015 by Alan (travellingfoodies). 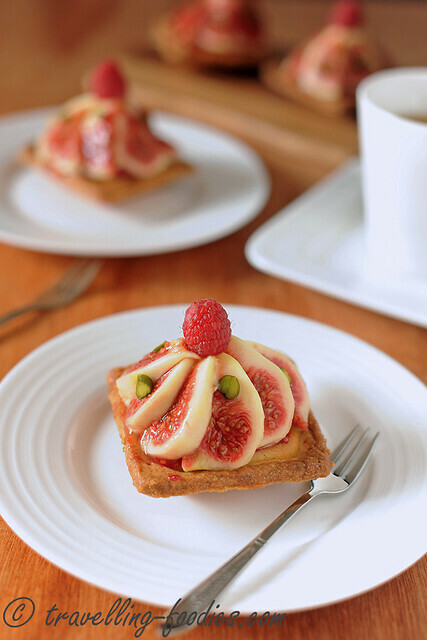 It was filed under Food, Simple Eats and was tagged with almond cream, creme chantilly, creme d'amandes, creme frangipane, creme patisserie, Figs, figues fraiche, framboise, framboise pépins, hidemi suginom french pastry, pastry cream, pate sucree, pistache, pistachios, Sugino Fig Tart, tartlette aux figues, whipping cream.